The general assembly of Egypt's High Constitutional Court (HCC) on Wednesday appointed the court's first deputy, Judge Maher El-Beheiry, as head of the HCC, since current court head Farouk Sultan is set to reach retirement age at the end of next month. Sultan currently heads up both the HCC and Egypt's Supreme Presidential Electoral Commission, mandated with supervising Egypt's first post-Mubarak presidential poll. News of El-Beheiry's appointment has reportedly been referred to Egypt's ruling Supreme Council of the Armed Forces for approval. 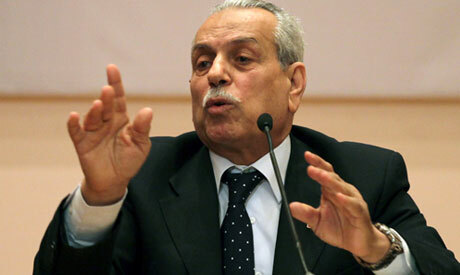 In a related development, an appeal lodged with the HCC by Wasat Party MP Essam Sultan demanding the application of a Political Disenfranchisement Law – which would bar Mubarak-era officials, including presidential finalist Ahmed Shafiq, from holding political office – has been postponed to 12 June. El-Beheiry, who will be formally named HCC chief on 1 July, will not head up the court when it rules on the Disenfranchisement Law.